We had a successful opener with 33 fish over 2lbs turned in all averaging around 3-4lbs and had a total of 61 fish turned in for week 1. There was a total of 12 tagged fish turned in the 1st day and 17 tags total for the week. 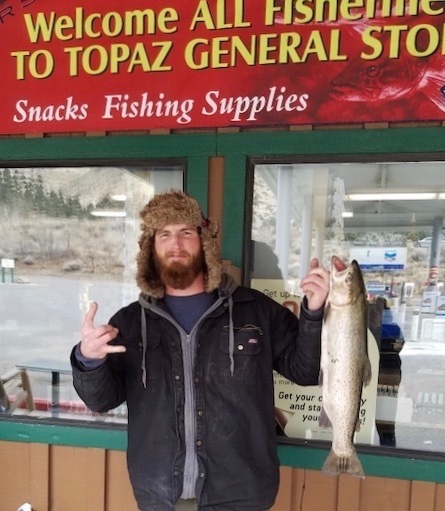 Our biggest fish for the week was a 9lb 7.7oz 24 1/2 in rainbow caught by Aaron Talhelm of Gardnerville Nv. 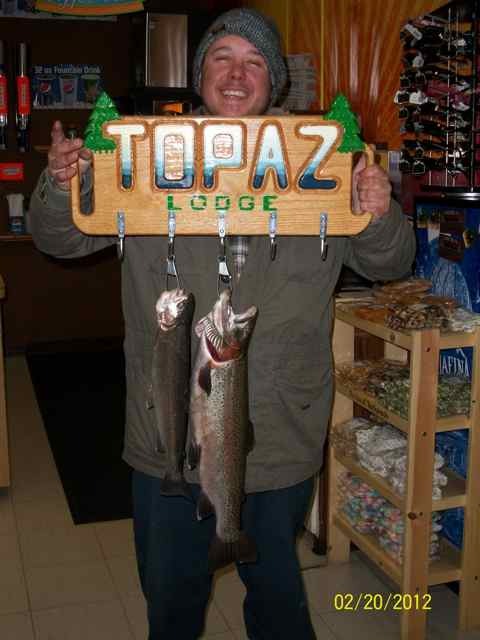 And 2nd biggest was David Rodden of Carson with 8lb 13oz 26in. 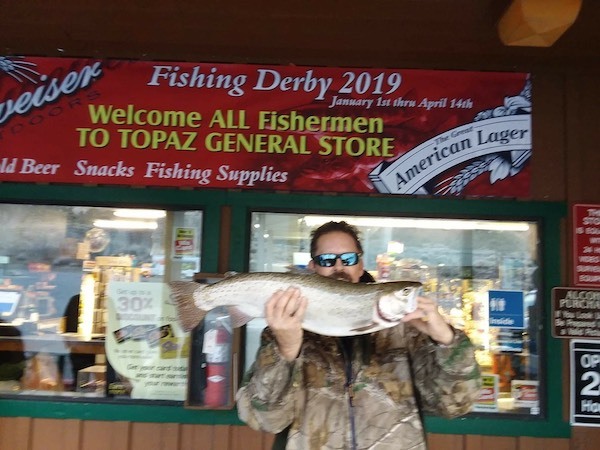 All banks are doing well mostly shore anglers are having the luck mostly with Powerbait and worms.